First and foremost, dentures are not made into dental implants. Instead, dental implants are a separate device that is placed directly into the jawbone. The titanium post, which is what dentists are referring to when they talk about implants, is designed to integrate with your preexisting jawbone. On top of the implant is an abutment, a metal connector that attaches the crown portion of your implant to the titanium post. These three components make up the entire dental implant. After an implant is placed, it must undergo a healing process before the dentist can permanently restore it. This stage is incredibly important to ensuring long-term reliability. Once the healing stage is complete, which takes about four to six months depending on where the implant was placed, the dentist will take impressions of your implant and use it to create a final restoration. As mentioned, dental implants are separate from dentures. Much like how dentures are custom-made to fit the shape of your mouth and replace specific teeth, implant-retained dentures are fitted with sockets designed to either snap on or stay affixed to dental implants. Depending on the type of denture you choose, you’ll either be cleaning and maintaining your denture on your own or with the additional help of a dentist during your routine visit. What’s great about implant-retained dentures is their stability, even when chewing tough foods that would normally cause dentures to shift and slip out of place. Dentures attached to implants do not require adhesive or the natural suction of the mouth to stay in place, regardless of which option you select. Can They Be Used with My Current Denture? Most implant-retained denture cases require the creation of a brand-new denture. This is largely because those who come in for an appointment have generally been using their denture for a very long time. Dentures that have noticeable levels of wear and tear are not recommended for pairing with dental implants. However, if your denture is in very good or excellent condition, the dentist may be able to use it with confidence. 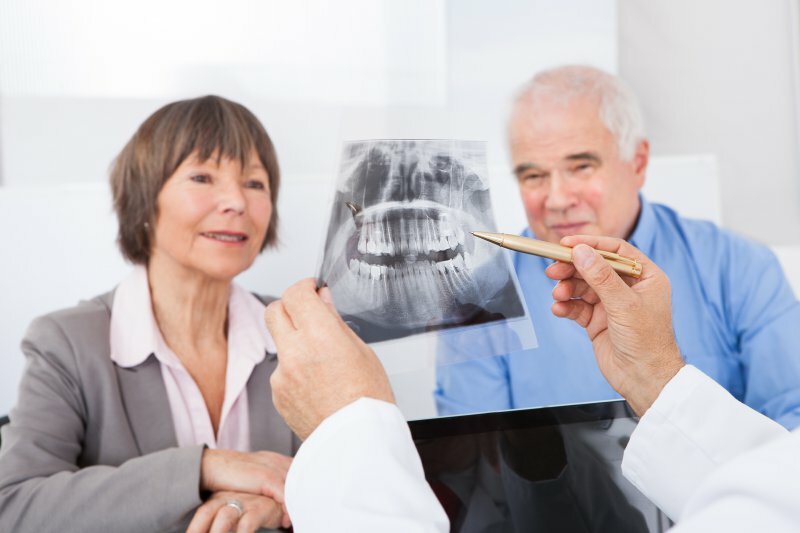 Do you still have questions about your treatment for dental implants in Longmont? Schedule a consultation to get the full rundown! Dr. James M. Maurer earned his DDS degree from the University of Minnesota. His practice provides multiple solutions to tooth loss, including dental implants, dentures and implant-retained dentures for those looking for an effective way to replace many teeth at a time for the long-term. To learn more about his practice, you can contact him through his website.